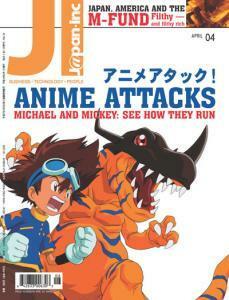 On the cover: Japanese animators (and their characters) are raring to fight. As Disney dithers, Toei takes on the world. Racial profiling is par for the course in contemporary Japan -- and right now, there's not much you can do about it. Was Japan's postwar economy funded by plundered billions? Japan, the US and the M-fund. With so much of what we buy now made in the same developing countries by workers on the same wages, do brands really matter anymore? Change is usually difficult ... or disastrous. But we're stoked about this one. Upfront: Who Killed Koki Ishii? The murder of a top corruption-buster is business as usual. Alejandro Lopez spices up Beacon's bacon. In Depth: Will the Slum Remain the Same? San'ya heads for the auction block. Investor insight: Signs of a Real Recovery? Our money master provides an overview of likely booms. Our columnist is the token "internationalist" in Kansai. Uh-oh. A Japan you only thought you knew. I Want my Thin TV!